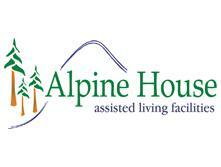 Alpine House of Toledo was awarded a “deficiency free” survey by the Ohio Department of Health. The survey conducted on 07/21/2014 indicates the facility to be in full-compliance to all standards of care and requirements in accordance to the Ohio Administrative and Revised Codes for residential care facilities. The perfect survey is also reflective of the high standards and commitment of the staff to provide quality service to the residents of this 36-bed facility located on 2901 Tremainsville Rd., Toledo.